I’ve been an English teacher for more than thirty years. That’s scary. And, during most of those years, I have tried to help students make their writing better. Or, as my current supervisor says of her own career, “For years I thought I was combating ignorance; then I realized I was just documenting it.” Yes, we English teachers spend a great deal of time looking for mistakes. Whenever I do web design, one of the wonderful things about it is that electrons are ephemeral. I can correct mistakes and the problems go to some cyber-heaven. However, once words are online, other entities copy those words, usually without credit or permission, and typos just keep on turning up. 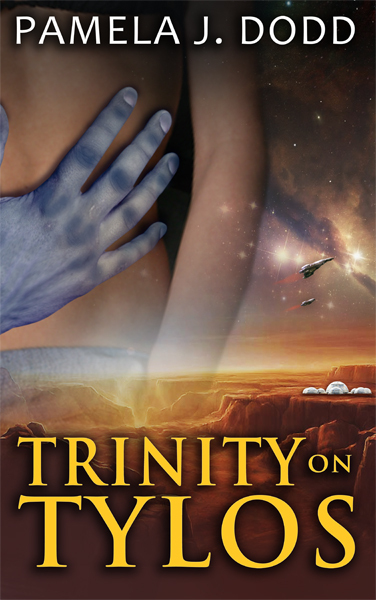 When the publisher’s printing partner, Paw Prints POD, first posted it on Amazon, the title was Trinity on Trylos. It took me quite a while to correct that. But the description, which is that back cover blurb, misspells the main character’s name. One of my teacher friends from long ago often mentioned a colleague, Venice. I wanted an exotic, yet human name for my futuristic character, so I swiped it. Quite frankly, I stole the last name from the social pages of the Athens, Georgia newspaper, so the main character is Venice Dylenski. However, Amazon’s page, which was created in part by someone from PawPrints, called the character Benice Dylenski. Indeed, a search for that name yielded ten results, and none of them are Vampire Raves, so there are undoubtedly other sites which have this same error. Just how many sites have posted this incorrect copy from Amazon? I have no idea, but it does illustrate that one mistake can go a very long way online. There is something even more scary about that.